Published on June 3, 2014 by Martyn. Be the first to comment! 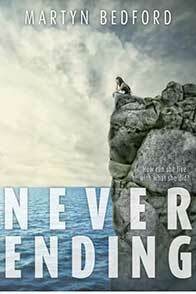 Just received a very nice email from my agent in New York, informing me that the U.S. edition of Never Ending has been nominated in the Best Fiction for Young Adults category by the YA Library Services Association of America. I’m in good company, alongside the likes of David Almond, Melvin Burgess, Sally Green, Lauren Oliver and fellow Walker Books author Leslye Walton, whose wonderful debut, The Strange and Beautiful Sorrows of Ada Lavender, I read recently. The BFYA nominations are open to fiction aimed at 12-18 year olds which “meets the criteria of both good quality literature and appealing reading for teens”. The purpose of the annual list it to provide librarians across America with guidance in which books to stock and recommend to young readers.